Research in the area of herbal psychopharmacology has revealed a variety of promising medicines that may provide benefit in the treatment of general anxiety and specific anxiety disorders. However, a comprehensive review of plant-based anxiolytics has been absent to date. This article (part 1) reviews herbal medicines for which only preclinical investigations for anxiolytic activity have been performed. In part 2, we review herbal medicines for which there have been clinical investigations for anxiolytic activity. An open-ended, language-restricted (English) search of MEDLINE (PubMed), CINAHL, Scopus and the Cochrane Library databases was conducted (up to 28 October 2012) using specific search criteria to identify herbal medicines that have been investigated for anxiolytic activity. This search of the literature revealed 1,525 papers, from which 53 herbal medicines were included in the full review (having at least one study using the whole plant extract). Of these plants, 21 had human clinical trial evidence (reviewed in part 2), with another 32 having solely preclinical studies (reviewed here in part 1). Preclinical evidence of anxiolytic activity (without human clinical trials) was found for Albizia julibrissin, Sonchus oleraceus, Uncaria rhynchophylla, Stachys lavandulifolia, Cecropia glazioui, Magnolia spp., Eschscholzia californica, Erythrina spp., Annona spp., Rubus brasiliensis, Apocynum venetum, Nauclea latifolia, Equisetum arvense, Tilia spp., Securidaca longepedunculata, Achillea millefolium, Leea indica, Juncus effusus, Coriandrum sativum, Eurycoma longifolia, Turnera diffusa, Euphorbia hirta, Justicia spp., Crocus sativus, Aloysia polystachya, Albies pindrow, Casimiroa edulis, Davilla rugosa, Gastrodia elata, Sphaerathus indicus, Zizyphus jujuba and Panax ginseng. 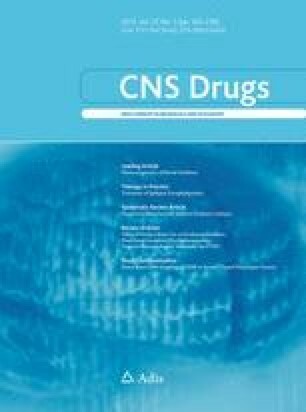 Common mechanisms of action for the majority of botanicals reviewed primarily involve GABA, either via direct receptor binding or ionic channel or cell membrane modulation; GABA transaminase or glutamic acid decarboxylase inhibition; a range of monoaminergic effects; and potential cannabinoid receptor modulation. Future research should focus on conducting human clinical trials on the plants reviewed with promising anxiolytic activity. Dr Jerome Sarris is funded by an Australian National Health & Medical Research Council fellowship (NHMRC funding ID 628875), in a strategic partnership with The University of Melbourne, The Centre for Human Psychopharmacology at Swinburne University of Technology. All authors have no conflicts of interest directly relevant to the content of this article.